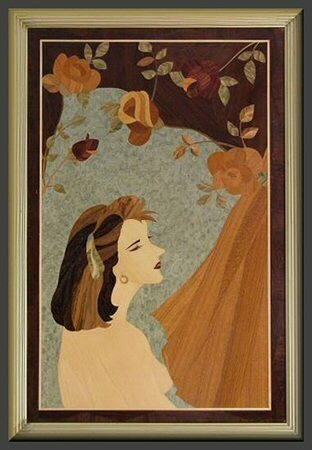 Presenting the works of that fabulous marquetry artist Masako Kaji from Fukuoka, Japan. 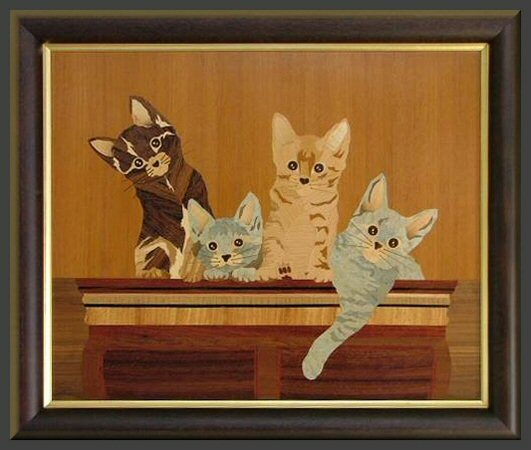 Masako has been creating Marquetry pictures for over 25 years. Despite the difficulty in getting a wide range of veneers, she has managed to produce a wide range of pictures. What makes her work interesting is that for most of her work she has produced the designs herself rather than copying from drawings. She has been inspired by things around her. She is essentially self taught with help from her parents who were the founder members of a group that meet in her home city of Kitakyushu. 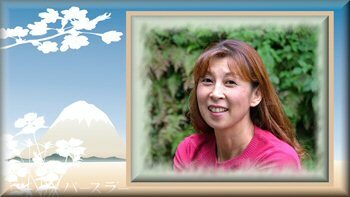 Masako is now launching a new teaching class in Fukuoka where she now lives. I hope you will enjoy seeing her work.